Stimulating lively scents are found with basil, fennel, peppermint rosemary and Eucalyptus. Lemon verbena and some scented leaved geraniums also fit this mood. For rest and peace you want calm balanced scent such as Clary sage, Chamomile, lavender or rich exotic roses. Roses and I will give you five varieites for the price of one Constance Spry pink, Leverkusen yellow, Madame Hardy white, Guinee deep red and the Damasck rose. Philadelphus Virginal the white flowered Mock Orange shrub. Honeysuckle Lonicera periclymenum Serotina for late summer and autumn. Syringa microphylla Superba the scented Lilac. Nicotiana sylvestris Nicotiana noctifloraand Nicotiana alata tobacco plants smell a lot better than burn tobacco. What are your most evocative scents and are they floral based? These are my top three floral scents. 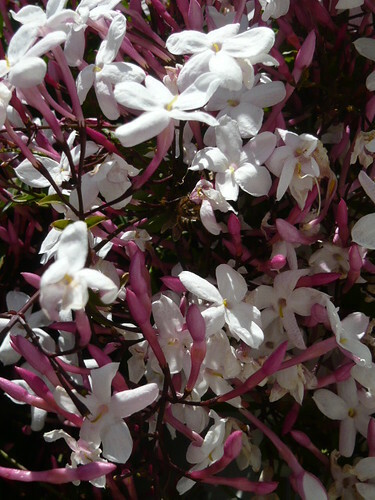 Jasmine has a powerful almost cloying scent that creates a miasma of scent for yards around. 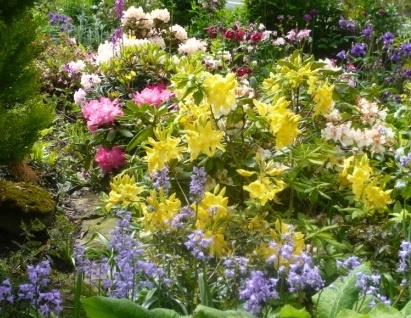 A small flowering pot indoors can fill a room and have the scent leaching all over the house. Tobacco plants Nicotiana sylvestris have a sweeter scent that is very powerful at dusk on a still summers evening. The white form seems to have the best scent but you can buy a perfumed mix of seeds that still have time to flower this year. 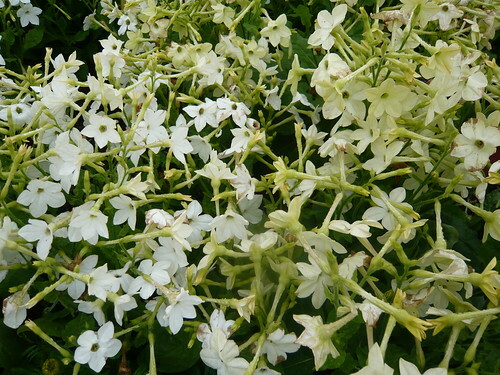 Try Nicotiana langsdorffii as a scented alternative. 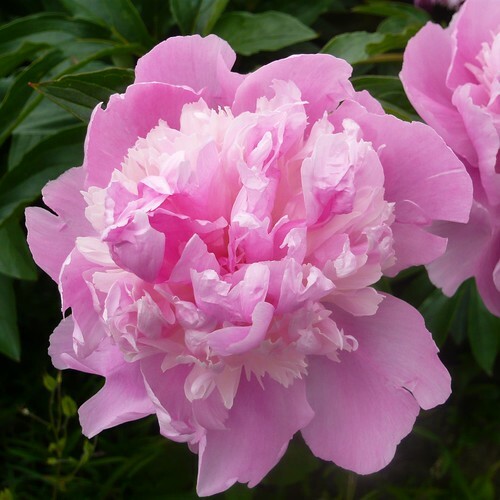 Peonies have a perfume that is lighter still but a joy in early summer as these plants flower freely once established. Float a head in a bowl to make a table centre piece. There are many other species and varieties I could have selected for this article. Roses would have been an obvious subject but they are covered elsewhere. Hyacinth and other bulbs make there scented contribution in spring. Lily of the Valley is another white flower that has its place in a perfumier’s portfolio in addition to the garden.